When I was first shown the I Ching on a sunny afternoon in a meadow on the slopes of Mount Shasta, I was only mildly interested. I gave it no more thought until a beautiful velvet- bound copy arrived in my post office box. It was a copy of the classic Wilhelm/Baynes edition sent by the woman who had first used this same book to do a reading for me. Little did I realize that she had ushered me thru the doorway of one of the world’s most profound mysteries, which was to permanently change my life in unimaginable ways. I never saw her again. The I Ching or Change Classic. as it is sometimes called, is only surpassed in copies in print by the Christian bible. Its legendary origins are said to trace back to China’s mythological first emperor, Fu Hsi, 5000 years ago. Of course, as is standard fare for many ancient Chinese mysteries, no one really knows its origin. Its history is adorned with figures such as Confucius, whose legendary wisdom has unfortunately inspired more fortune- cookie jokes than real admiration for his amazing accomplishments. Also the duke of Chou’s father, whom the duke gave the title King (KingWen) posthumously. King Wen was imprisoned by a tyrannical ruler for seven years, during which time he studied the I Ching very deeply, and later wrote interpretations of the meanings of its symbols which have greatly increased our understanding. He cared deeply about the well-being of his people, and is credited with establishing the first official education system in China. In our time, the Change Classic was important in the lives of such well-known figures as Carl Jung and Herman Hesse. Joni Mitchell, whose music inspired a generation, felt it had been so important in her life that she even had a custom guitar designed, and named it I Ching, complete with images and symbols from the book. Although the I Ching is most famous as a respected divination tool it also can stand alone as a collection of ancient teachings. Selecting timely passages to read may be done in a multitude of ways, some of which are very complicated. They range from interpreting bird flight patterns, to simply randomly opening its pages. Probably, the most commonly employed methods of choosing readings are the yarrow stalk and coin rituals. Due to inequalities in the mathematical probabilities of these consulting systems, the yarrow stalk method is preferred and considered to be more precise; however, focus and attention are the most important elements for obtaining and understanding readings. The characteristic of the I Ching which distinguishes it from other tools of its type is that it recommends what action(s) will harmonize most appropriately with an indicated set of circumstances. The symbols used make up its 4-sletter language and are said to have been chosen because of their simplicity. It is a belief held by some metaphysicians that ostentatious symbols make it difficult to still mental activity. Each symbol contains 6 lines, referring to matching paragraphs which modify the basic recommendations of the central text and each of these lines represents a stage of time, from early to late in the situation, Time is commonly expressed in units divisable by 6 (24 hours in a day, 60 minutes in an hour, etc.). The middle two lines of any symbol may sometimes have special importance, in that they give us guidelines as to whether we should take the initiative or simply respond in a reactive way to the situation. In a certain sense, the I Ching is a book about how to “win”, recommending how to obtain the best possible result within the confines of the situation, whether it is favorable or unfavorable. In a manner of speaking, the I Ching may be classified as a science of coincidence. Two common errors relating to intellectual honesty can affect the quality of one's I Ching usage. One is avoidance of consulting because of attachment to a path of action that one is fearful will not be approved as being a wise choice. The second is repeating a consultation hoping for a more favorable response. Detachment is a close companion of wisdom. 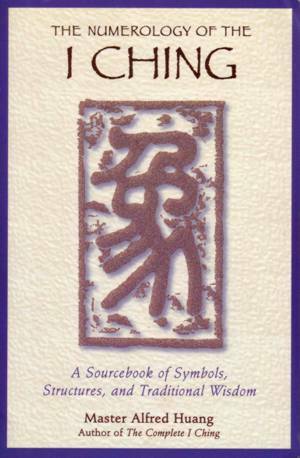 The most difficult problem one faces when using the I Ching is how to interpret readings. The so called “koan” readings are open ended; for example, “What is a valuable teaching for today (this month, this year)? But when one attempts more specific consultations, it is important to be precise and avoid ambiguity. For example a question such as “Should I move to Haiti or Paris?”(currently this probably doesn’t require the I Ching) may leave one with a confusing response and would probably be best handled by doing 2 separate readings and then comparing the results. The more desire or aversion enters the process, the more difficult to accurately interpret a response. This often triggers one to repeat the consultation process, seeking a more favorable response, an activity the I Ching itself warns against in symbol 4 (Youthful Folly). Preparation for any consultation should be carefully considered. The text assumes that the one seeking the reading is intending to improve their character and to be “without blame” is considered to be a worthy goal. Good luck and may this tool bring you truth and understanding…..